October 1942. 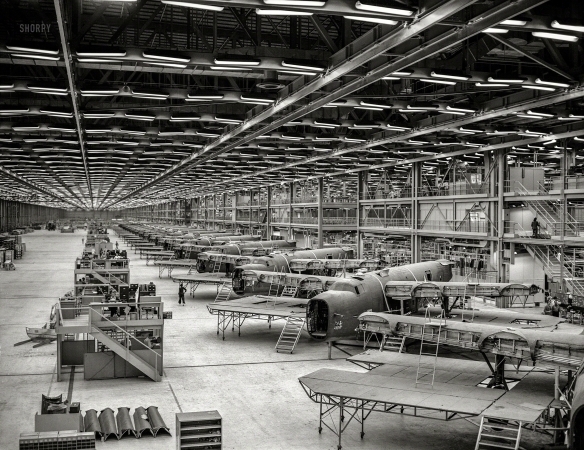 The Consolidated Aircraft plant in Fort Worth, Texas. "Production of B-24 bombers and C-87 transports."